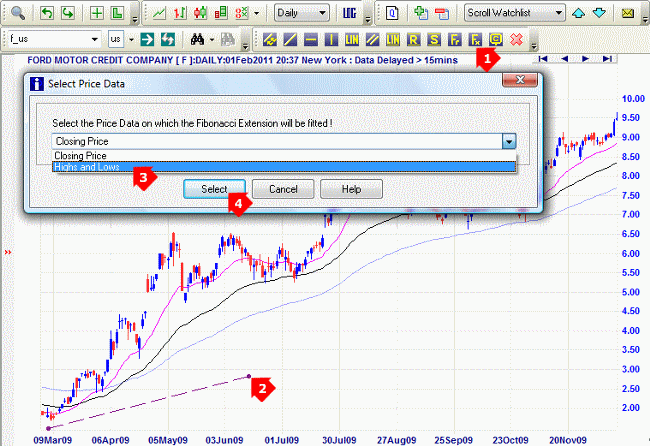 Fibonacci Extensions are used to project likely targets for the next leg of an up- or down-trend. 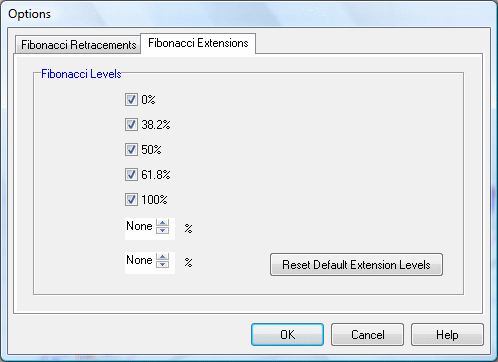 Percentage extension levels, based on significant Fibonacci numbers, are plotted as horizontal lines above/below the previous trend move. 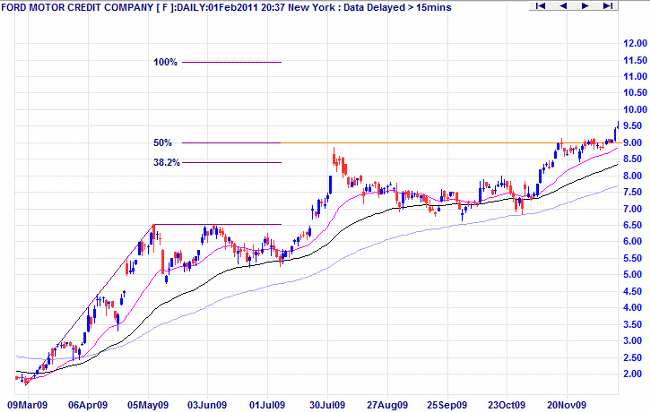 Note how the next advance found resistance at the 50% level.